Join NWF for a roundtable in York, Pennsylvania to discuss the impacts of a warming planet on wildlife and natural resources in Pennsylvania. 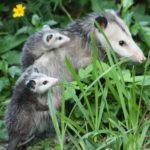 According to the National Wildlife Federation’s Wildlife in a Warming World report, climate change is the biggest single threat to wildlife this century, and is already transforming our landscapes across America. Rising global temperatures will wreak havoc on Pennsylvania‘s fish and wildlife resources. More frequent heavy precipitation events, coupled with extreme heat waves could decimate Pennsylvania fish populations, including brook trout, and make conditions far more favorable for ticks, the wooly adelgid, West Nile virus and other noxious insect pests. Extreme summertime temperatures will continue to adversely affect Pennsylvania’s world-class smallmouth bass streams rivers, while creating conditions unfavorable for ruffed grouse, which are already on the decline. If we don’t act now, the expected changes in the earth’s climate will directly threaten Pennsylvania’s treasured fishing and hunting traditions. If you live near York, Pennsylvania, join us Wednesday, March 27 at 3:00 pm for a roundtable discussion about the impacts of a warming planet on wildlife and natural resources in Pennsylvania and what we can do about it. Come listen to experts discuss the science behind climate change and what impacts are already noticeable around the world; the impacts of climate change on moose, smallmouth bass, and many other wildlife species; how climate change is making conditions more favorable for insect pests to survive the winter; how bird migration patterns are changing; and what the Obama administration is doing to reduce carbon pollution. Can’t make it? You can still play an important role in climate action by telling President Obama that you support cutting carbon pollution now.